Advanced Photo System type-C (APS-C) is an image sensor format approximately equivalent in size to the Advanced Photo System film negative in its C ("Classic") format, of 25.1×16.7 mm, an aspect ratio of 3:2. It is therefore also equivalent in size to the Super 35 motion picture film format, which has the dimensions of 24.89 mm × 18.66 mm (0.980 in × 0.735 in). Sensors approximating these dimensions are used in many digital single-lens reflex cameras (DSLRs), mirrorless interchangeable-lens cameras (MILCs), and a few large-sensor live-preview digital cameras. APS-C size sensors are also used in a few digital rangefinders. Such sensors exist in many different variants depending on the manufacturer and camera model. All APS-C variants are considerably smaller than 35 mm standard film which measures 36×24 mm. Because of this, devices with APS-C sensors are known as "cropped frame," especially when used in connection with lens mounts that are also used with sensors the size of 35 mm film: only part of the image produced by the lens is captured by the APS-C size sensor. Sensor sizes range from 20.7×13.8 mm to 28.7×19.1 mm, but are typically about 22.5×15 mm for Canon and 24×16 mm for other manufacturers. Each variant results in a slightly different angle of view from lenses at the same focal length and overall a much narrower angle of view compared to 35 mm film. This is why each manufacturer offers a range of lenses designed for its format. The signal-to-noise ratio for a given pixel is largely defined by the number of photons per a pixel and the sensor readout noise. Hence, for practical applications the image noise by an APS-C sensor cannot be directly compared to either a smaller or bigger sensor sizes, as its light collecting property is largely defined by the overall optical system, rather than sensor area. Drawing showing the relative sizes of sensors used in most current digital cameras. Canon, Fuji, Nikon, Pentax and Sony have developed and designed lenses specifically for their cameras with a lens factor (more fully, lens focal length conversion factor) or "crop factor". Whilst Canon uses a factor of 1.6×, the other four brands all use 1.5×. APS-C cameras use a smaller area to form the image than traditional 35 mm cameras, and so lenses used on APS-C format cameras have a correspondingly narrower field of view. For example, a 28 mm lens is a wide angle lens on a traditional 35 mm camera. But the same lens on an APS-C camera, with a lens factor of 1.6× (relative to a standard full-frame 35 mm format camera), has the same angle of view as a 45 mm (28 mm × 1.6 lens factor) lens on a 35 mm camera—i.e. a normal lens. Several third-party lens manufacturers, such as Tamron, Tokina, and Sigma, also manufacture a range of lenses optimised for APS-C sensors. Canon introduced the Canon EF-S line of lenses in 2003 alongside the 300D. These lenses place the rear of the lens closer to the camera's sensor (referred to as short back focus). This has several benefits, including lighter lenses and a narrower field of view (which implies "longer" zoom). EF-S lenses are compatible with Canon's APS-C digital SLRs, with the exception of the early Canon EOS D30, Canon EOS D60, and Canon EOS 10D, which predated the introduction of the mounting system. EF-S lenses will not physically mount on Canon's full-frame digital or 35mm film SLRs. More recently, the company introduced the EF-M line for its EOS M series of mirrorless interchangeable-lens cameras (MILCs). EF-M lenses will not physically mount on any Canon SLR, whether film or digital. The rear of an EF-M lens is considerably closer to the sensor or film plane than that of an EF (full-frame/35mm) or EF-S lens, making it necessary to ensure that the EF-M lens will not mount on the other bodies. Canon sells an optional adapter that allows EF-M bodies to accept all EF and EF-S lenses. Nikon makes DX format lenses for their line of APS-C digital cameras. These can be physically mounted to all Nikon digital and film SLR camera bodies since 1977. These lenses generally exhibit vignetting at shorter focal lengths when mounted on Nikon film bodies, but are typically usable at longer focal lengths. When mounted on a Nikon FX (full-frame) digital body, by default the camera will automatically adjust the viewfinder to depict the DX frame area and crop the captured images to the DX image size. This can be overridden by the user if desired. Sony has two lines specifically designed for their APS-C cameras—the DT line for their A-mount DSLRs and α SLTs, and the E-mount for their α MILCs. The DT lenses can be mounted on any Sony A-mount camera, but are specifically designed for the DSLR-A100 up to DSLR-A700 series of APS-C-format DSLRs, the earlier Konica Minolta 5D and 7D, and the most recent APS-C Alpha SLTs. DT lenses can be mounted on full-frame models like the DSLR-A850, DSLR-A900, and SLT-A99 in "crop" mode, where the frame is cropped and the resolution is roughly halved. E-mount lenses are compatible with all of the company's APS-C MILCs, from the NEX-3 and NEX-5 through the current α3000, α5100, and α6500. In addition, they can be mounted on Sony full-frame MILCs (α7/α7R/α7S, α7R II, α7S II) in "crop" mode (the company also produces E-mount lenses designated as "FE", which cover the entire full-frame image circle). ^ Bockaert, Vincent. "Sensor Sizes". Archived from the original on 2011-04-15. Retrieved 2012-04-05. ^ "Nikon D3100 Sensor Info & Specs". www.digicamdb.com. Retrieved 2019-04-02. ^ "Sony Alpha SLT-A58 vs. Sony Alpha SLT-A77 - Sensor Comparison". www.digicamdb.com. Retrieved 2019-04-02. ^ "Nikon D3200 Sensor Info & Specs". www.digicamdb.com. Retrieved 2019-04-02. ^ "Pentax K20D Sensor Info & Specs". www.digicamdb.com. Retrieved 2019-04-02. ^ "Samsung NX100 Sensor Info & Specs". www.digicamdb.com. Retrieved 2019-04-02. ^ "Sony Alpha NEX-5 Sensor Info & Specs". www.digicamdb.com. Retrieved 2019-04-02. ^ "Pentax KP Sensor Info & Specs". www.digicamdb.com. Retrieved 2018-11-04. ^ "Pentax K-3 Sensor Info & Specs". www.digicamdb.com. Retrieved 2019-04-02. ^ "Pentax K-S1 Sensor Info & Specs". www.digicamdb.com. Retrieved 2019-04-02. ^ "Pentax K-70 Sensor Info & Specs". www.digicamdb.com. Retrieved 2018-12-18. ^ "Ricoh GR Sensor Info & Specs". www.digicamdb.com. Retrieved 2019-04-02. ^ "Nikon Coolpix A Sensor Info & Specs". www.digicamdb.com. Retrieved 2019-04-02. ^ "Sony Alpha NEX-7 Sensor Info & Specs". www.digicamdb.com. Retrieved 2019-04-02. ^ "Sony Alpha NEX-6 Sensor Info & Specs". www.digicamdb.com. Retrieved 2019-04-02. ^ "Sony Alpha a6000 Sensor Info & Specs". www.digicamdb.com. Retrieved 2019-04-02. ^ "Pentax K-01 Sensor Info & Specs". www.digicamdb.com. Retrieved 2019-04-02. ^ "Pentax K-50 Sensor Info & Specs". www.digicamdb.com. Retrieved 2019-04-02. ^ "Sony Alpha DSLR-A100 vs. Sony Alpha SLT-A37 - Sensor Comparison". www.digicamdb.com. Retrieved 2019-04-02. 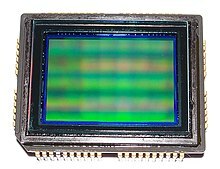 ^ "Crop Sensor (APS-C) Cameras and Lens Confusion". Bobatkins.com. Archived from the original on 13 December 2010. Retrieved 2010-12-30. ^ "Compatibility of DA Lenses on Full Frame". RiceHigh's Pentax Blog. 2012-03-22. Retrieved 2012-04-05.